As a huge Real Techniques fan, I am very excited for their 2014 launches. 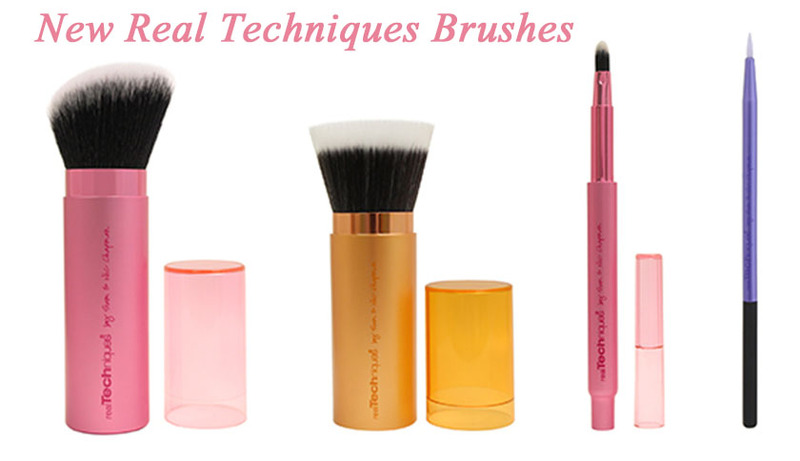 When I say, that their brushes are the best I have ever tried - I really mean it. They are super soft, cruelty free and... affordable! The quality is outstanding and they do not shed a single hair! Amazing! The new launches include a Retractable Kabuki Brush, a Retractable Bronzer Brush, a Retractable Lip Brush and a Silicone Liner Brush. They are already available in America and will be launching in UK at the end of January. Retractable Kabuki Brush (£11.99)- for powders, bronzers, blushers and highlighter. Retractable Bronzer Brush (£12.99) - for expertly blending bronzer or finishing powders. Retractable Lip Brush (£6.99) - for precise application of lipstick, lip gloss or stain. Silicone Liner Brush Features (£5.99)- for smooth, precise application of liquid or cream eyeliner. If you are based in US, you can now buy these from realtechniques.com. For all of us in UK, we have to wait till the 27th of January to get them in Boots.